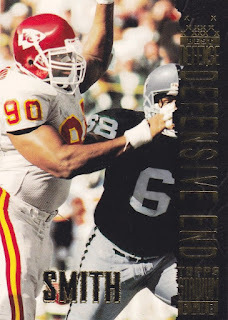 I picked up a cheap pack of '90s football cards at a card show awhile back, but I was not prepared for how EXTREME it would be. 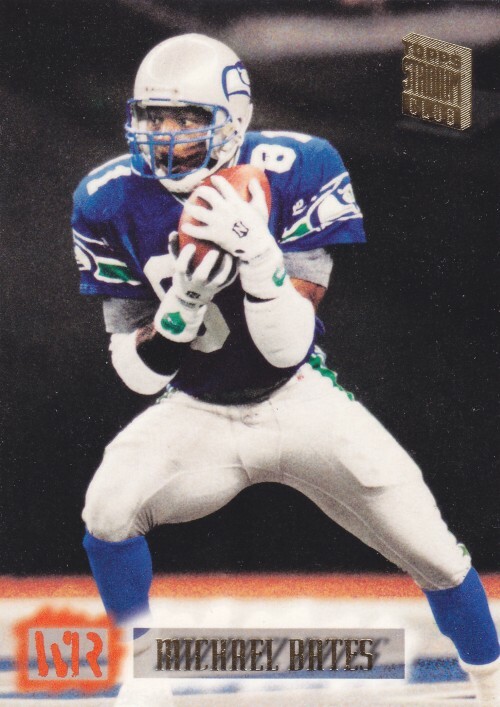 468 - Michael Bates - Seahawks are EXTREME. 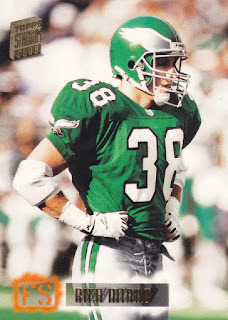 351 - Rich Miano - I do miss these old Eagles uniforms tremendously. They were, genuinely, pretty EXTREME. 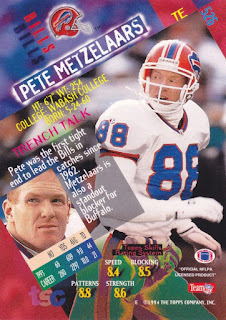 526 - Pete Metzelaars - Look at these card backs! 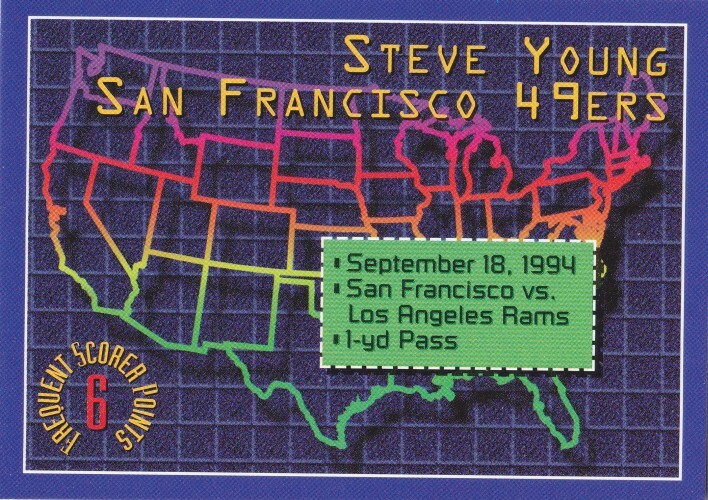 So many EXTREME angles. 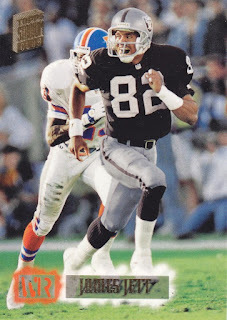 389 - James Jett - You know the Raiders are EXTREME, no matter what city they're playing in. I don't have to tell you that. 438 - Neil Smith Best Defense - Not being able to see half of the player you're grappling with? 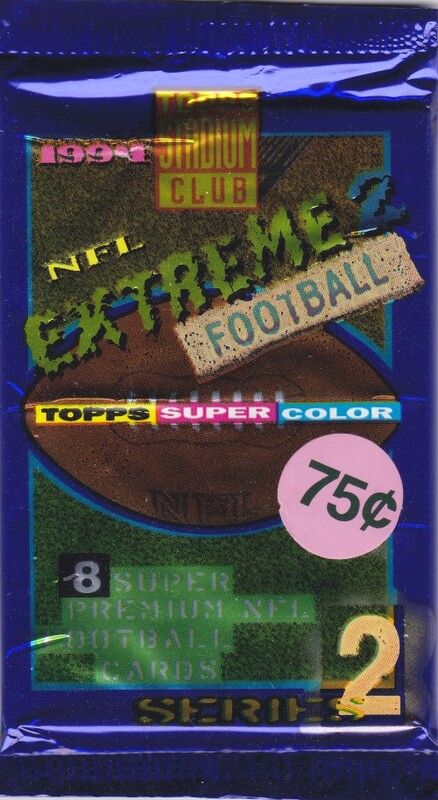 Now, that's pretty EXTREME! 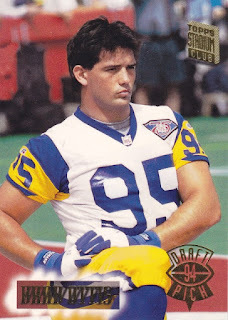 434 - Brad Ottis - Okay, there's nothing extreme about this. 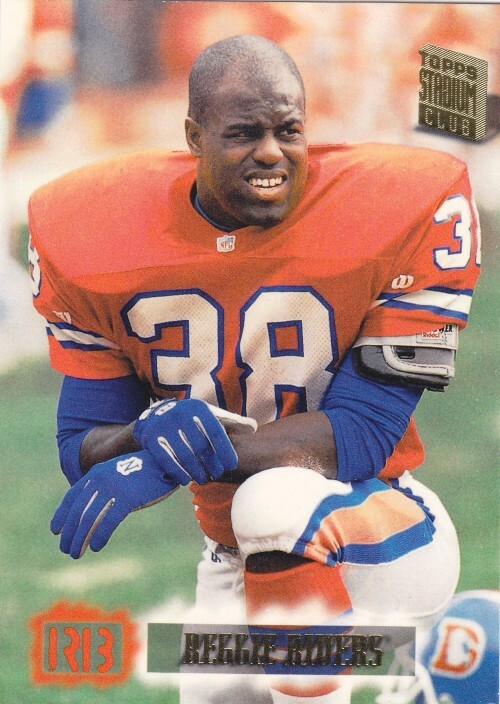 388 - Darrin Smith - Not being able to read the player names is pretty EXTREME. 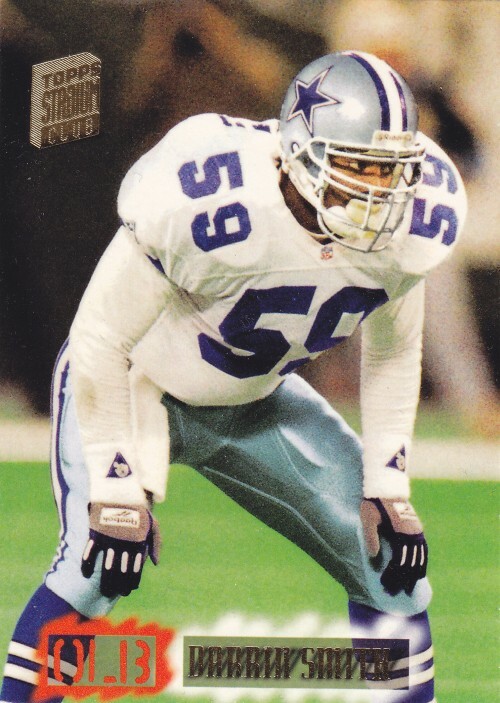 396 - Reggie Rivers - Those are some EXTREME shoulder pads. 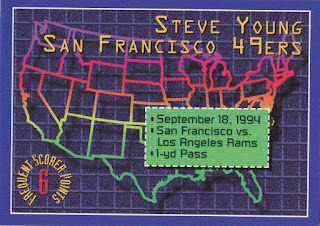 3 - Steve Young - Frequent Scorer Points - That's a pretty EXTREME civil defense map. I wonder what I can get if I collect enough points.